The prime minister said her government's efforts will be to reach the fruits of independence to all people. "This was the aim and dream of the Father of the Nation. Our target is to earn dignity as a developed nation in the world arena, we're working keeping it in mind." 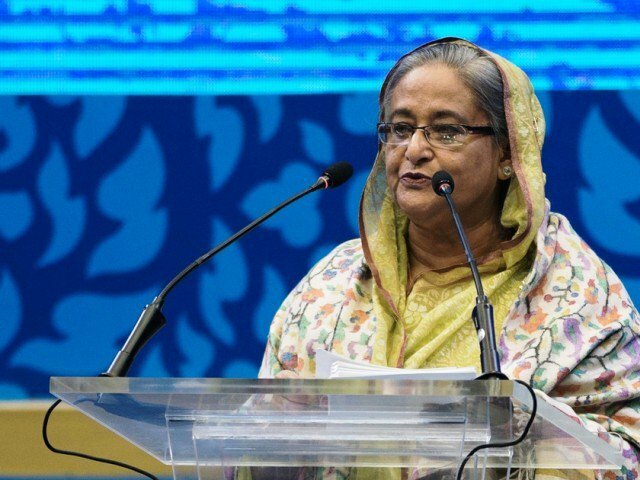 Sheikh Hasina said the country now stands at a dignified position with the efforts of the last one decade as the GDP reached 8 percent and the per capital income USD 1909. "Now Bangladesh is a role model of development in the world ... the whole world now looks at Bangladesh as a dignified country," she said. The premier said the Independence Award would inspire the new generation to be imbued with the spirit of patriotism, carry out their responsibilities to the nation to take it forward in the future.